Today, you lucky ladies are getting a preview of my work space, so get excited! 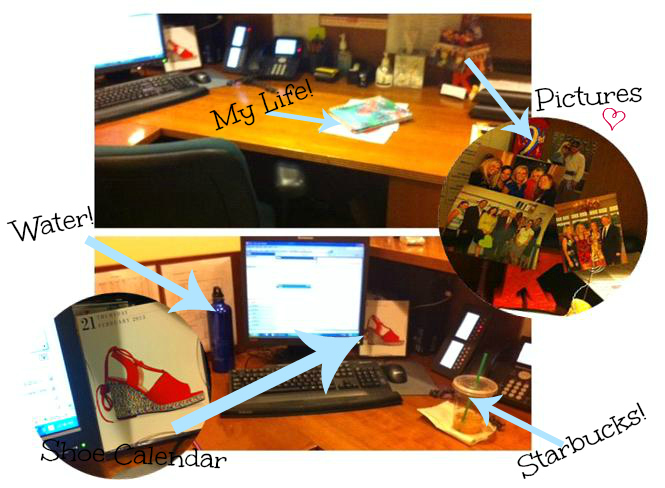 Whats in you're work desk!? Ha...I love the shoe drawer! Fantastic! I have to always have a nail file and floss at my desk. Gross, I know but it's the perfect time to get those things done. I promise I don't ever clip my nails, though. I HATE when people do that...that noise...ugh!